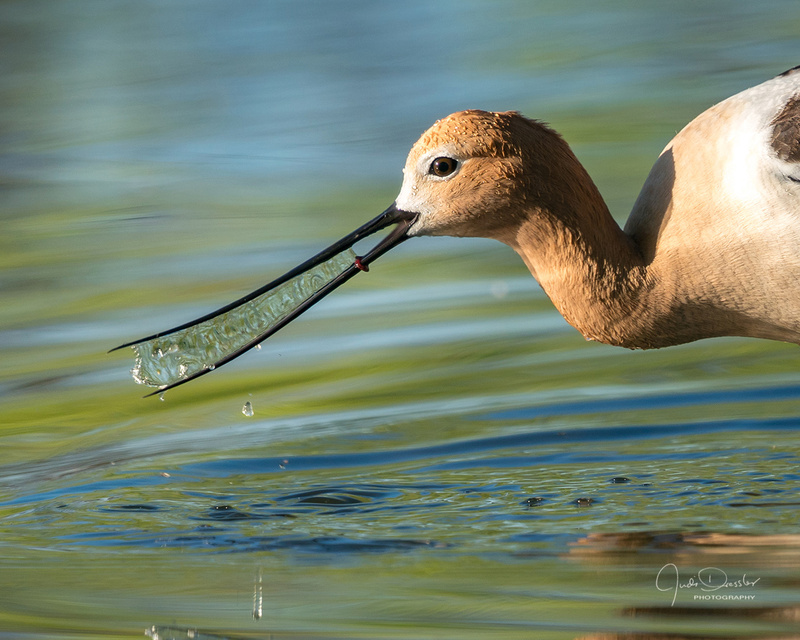 Some trick of nature caused a little water to remain in this American Avocet’s beak while it was fishing for tiny bits of food in the water. I had sat down near the edge of the small lake and waited, and was rewarded by two avocets making their way over quite close to me. I don’t know what that little red “ring” is — it was not there in other photos of this bird; could be a tiny worm. Photo taken May 15, 2018, in Lakewood, Colorado.